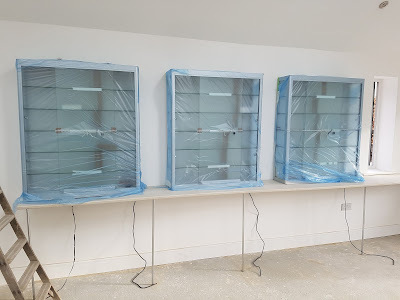 The display cabinets have been fitted and the work tops for storage of dead or reinforcements have been installed. My painting station is the are far left in the shot below. 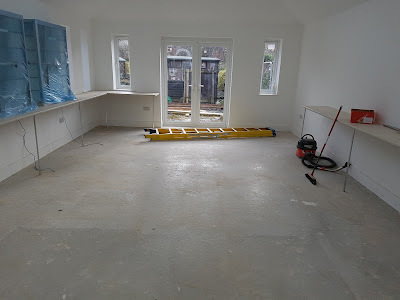 The long wall opposite the cabinets will have my paintings and there is plenty of storage under the table when it is moved in and modified to 15' x 6'. Envious to say the least! Agreed! It already makes my own space seem a bit cramped by comparison. When do you anticipate completion and a move-in date? I reckon you're making a lot of people (and not just me) very envious - and probably some clubs too, I guess. That’s is wonderful! I shall follow its fitting out during my convalescence with interest. Its fun to start with a blank canvas and watching the picture progress. Congratulations on having a terrific Man Cave. 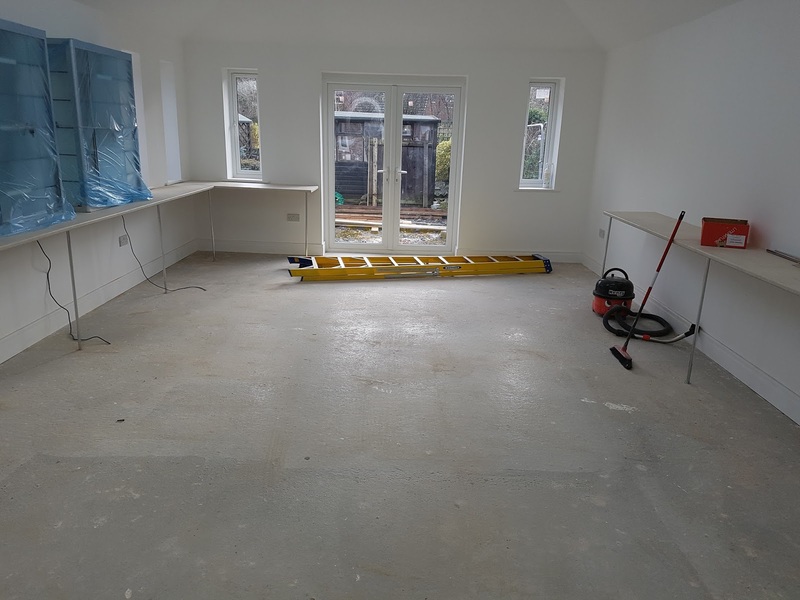 It's looking absolutely great Colin, light clean and spacious and it's particularly good to see you are thinking ahead about displaying your collection of original paintings in the unlikely event anyone gets bored during a game. Whose works do you have besides Bob Marrion and that pervert from Gloucestershire? Hi Chris. With the exception of your works and a dozen Bob Marion’s I don’t have any more original paintings but do have a good selection of prints of a range of painters’ work such as Lady Butler, Caton Woodville and the like to fill up some space. It’s a big wall! Top job - so much quality game time to fall out of this. Splendid. Looking forward to seeing it gradually fill up!